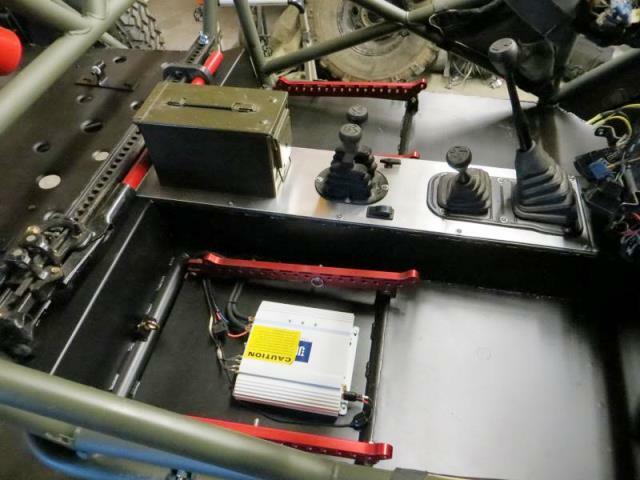 Off-road enthusiasts have long recognized the value of incorporating ammo cans into their fabrication projects as a cost-effective, and rugged waterproof storage solution. 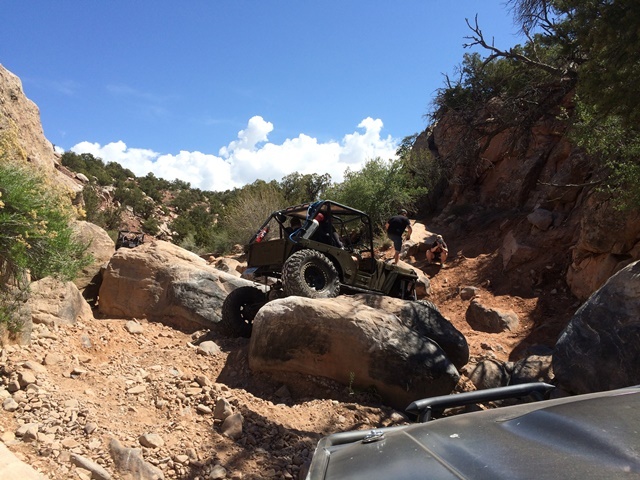 Jeeps, ATVs and other off-road vehicles operate in unforgiving terrain and nasty weather. To make matters worse, many of these vehicles don't have tops or have limited dry storage capacity to shelter equipment and valuables from the elements. Ammo cans are the perfect solution in many cases, and are a natural complement to the utilitarian nature of the off-road hobby. Please read on to see a few examples of how creative off-road enthusiasts have incorporated ammo cans into their off-road trail machines. Frontier Off Road Supply in Chariton, Iowa is one of the top off-road fabricators in the Midwest and has been incorporating ammo cans into their project vehicles for years. When building off-road interiors from scratch, incorporating storage capacity can be a challenge, and further complicated by the requirement for it to also be weather and trail proof. Ammo cans are an easy way to build dry, rollover-proof storage into any project. Frontier 4x4 Supply has cleanly mounted an M2A1 ammo can to serve as the center console on this trail rig. 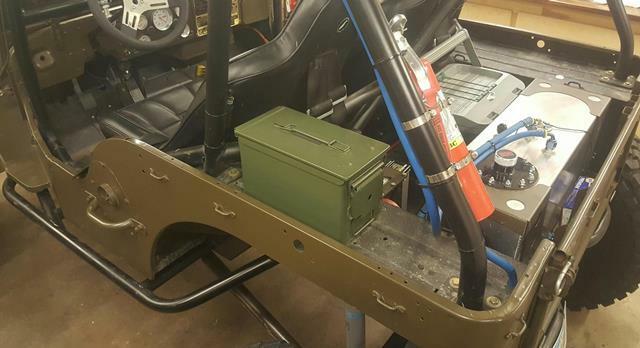 The M2A1 can fits nicely between the seats, provides protection from weather and trail debris, and the hinged lid will keep the contents secured in the event of a rollover. 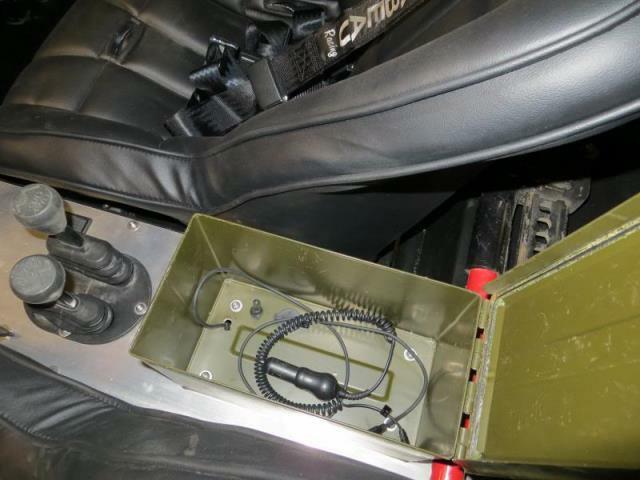 Many Jeep owners and off-road enthusiasts enjoy trail riding with their roofs or tops removed, creating a need for a waterproof center console or alternate storage location to address the increased environmental exposure. Ammo cans are easy to mount in otherwise unusable spaces and provide easy, waterproof, access to important tools, recovery gear, spare parts and equipment. Ammo cans are also an ideal storage solution for chains, binders, and ratchet straps on trailers. Consider ammo cans for your next storage project!